Spring is approaching; time to start planting! 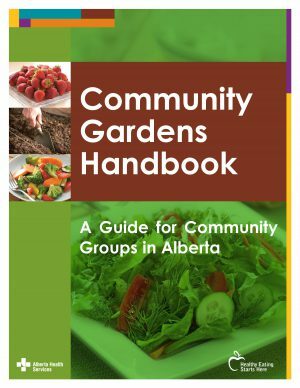 The Community Gardens Handbook was developed by registered dietitians at Alberta Health Services to support groups and individuals who want to start or maintain a community garden. This resource makes it easy to start a garden at your school. You’ll have a green thumb in no time! Hands-on, experiential learning opportunities in a wide array of disciplines, including the sciences, math, language arts (e.g., garden journal) and nutrition. Great opportunities for students and teachers to improve their food growing skills, such as how to grow, harvest, and prepare produce. Environmental stewardship. Gardening can instill appreciation and respect for nature. Lifestyle and nutrition. The garden can increase students’ knowledge and understanding of how to maintain a healthy lifestyle.Research has shown that children who grow their own food are more likely to eat fresh vegetables and fruit. Ability to practice what you preach! Associate nutrition messages, like the importance of eating your vegetables, in the classroom, in the cafeteria/lunch room and at home. 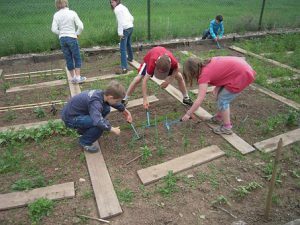 This handbook is based on best practices for planning and running a community garden, but it can also be used to start a school garden. Students and teachers can learn more about nutrition and become more aware of where food comes from. What information can be found in The Community Gardens Handbook?